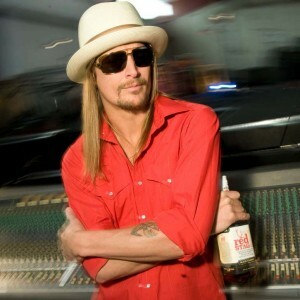 Jim Beam Bourbon and Kid Rock are breaking new ground with a first-of-its-kind campaign alongside Atlantic Records, offering fans exclusive free downloads of the new, unreleased song “Times Like These” from Kid Rock’s upcoming album and a compilation of live hits from his two-night, sold-out homecoming at Comerica Park last summer. “After being one of Jim Beam’s best consumers for years, I’ve gotten to know the people and the product very well, and I’m excited to continue and grow our relationship in such an innovative way,” Kid Rock tells BourbonBlog.com. Building on the momentum created in their 2009 partnership, when newly launched Red Stag by Jim Beam Bourbon sponsored Kid Rock’s “Rock N’ Rebels” tour, legal-aged Kid Rock fans and Jim Beam fans alike can now enjoy an exclusive music offering while sipping Bourbon in their backyard. These free downloads, available via tear pad or on special edition gift cartons of Jim Beam and Red Stag by Jim Beam (where legal), mark the first time a spirits brand and major record label have worked together to distribute new music from an A-List artist via a non-traditional retail channel on a massive scale. 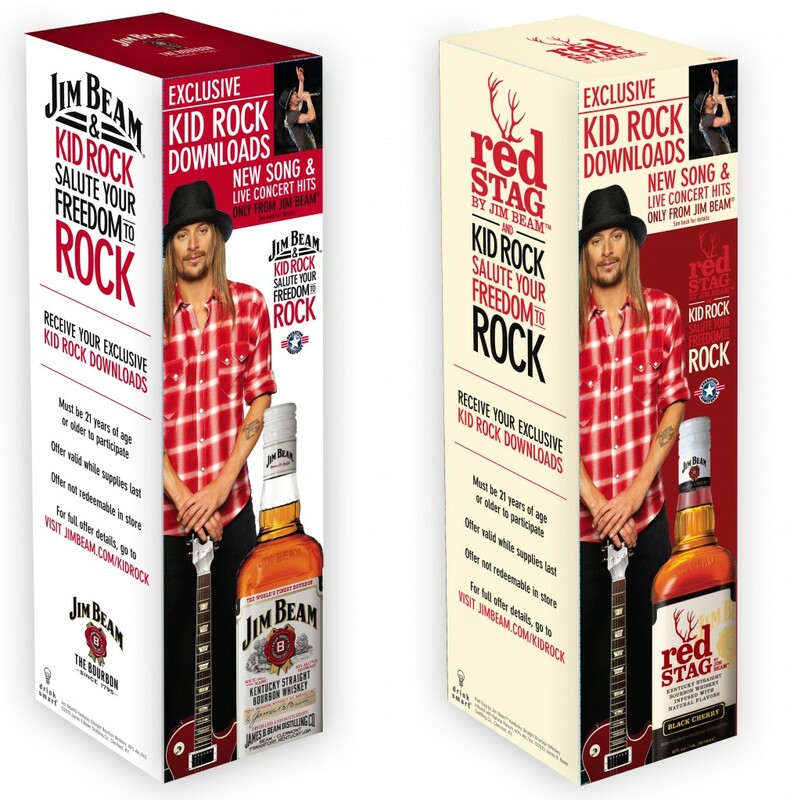 Starting in May at participating retailers, consumers can check out special edition gift cartons of Jim Beam and Red Stag by Jim Beam to learn how they can download Kid Rock’s new song, “Times Like These,” and a limited collection of Kid Rock’s greatest hits performed live from his hometown of Detroit. This offer is only good while supplies last and only available from Jim Beam! Jim Beam and Kid Rock will continue their commitment to service members by encouraging fans to join them in supporting America’s heroes through Operation Homefront, a nonprofit organization providing emergency and morale assistance to troops, the families they leave behind and the wounded warriors that return home. Each special edition Kid Rock carton of Jim Beam and Red Stag by Jim Beam will be marked with instructions on how to donate $5 to Operation Homefront by texting SALUTE to 90999. Fans must be 21 years of age or older to participate. Void where prohibited. This offer is only valid in states where legal and while supplies last. Go to www.jimbeam.com or visit your local participating retailer for full offer details. Hi There, I stumbled your website and I enjoy it! Please check out my online movie blog as well!